Welcome to the information site for the Great Lakes Chromosome Conference (GLCC). 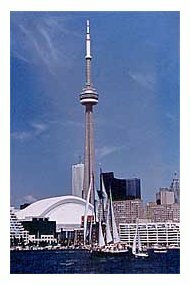 The Great Lakes Chromosome Conference is held in May of each year in Toronto, Ontario, Canada. Attendees from all over Canada and the USA come to share and discuss their experiences in the field of Clinical Cytogenetics. This conference is of particular interest to cytogenetic laboratory directors, clinical cytogenetic fellows, and technologists working in the field. This site contains information regarding past and future GLCC meetings, as well as links to other valuable sites. We encourage you to explore this site and contact us with ideas and submissions. The GLCC is now in its forty-second year. The next GLCC will be held May 13 and 14, 2004. Please plan to come help make the 2004 GLCC an informative and exciting event! The purpose of the GLCC meeting is to bring together professionals in the field of Clinical Cytogenetics each year, to discuss problems and solutions in an open and informal forum. Every attendee is encouraged to bring interesting case reports, studies or research projects that provide springboards for discussion and interaction. 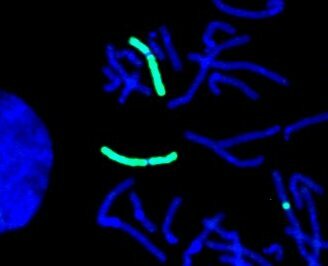 into the long arm of one chromosome 2.